Heat oven to 425ºF. In ungreased 8-inch square (2-quart) glass baking dish, mix potatoes, sauce mix from potatoes, boiling water, milk, butter, carrots and dill weed. 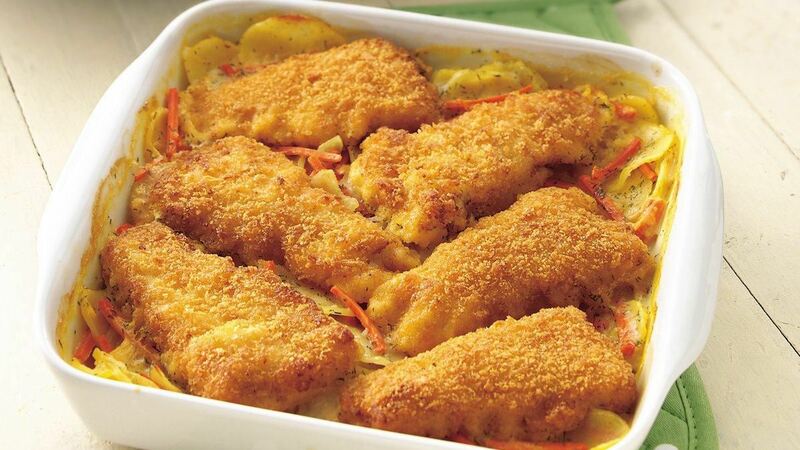 Arrange fish fillets on top. Bake uncovered 30 to 35 minutes or until potatoes are tender. Purchasing: Look for matchstick carrots in the produce department where you find bags of other cut-up veggies and bagged greens.